The best in Philippine Contemporary Art - Art Fair Philippines happens on February 16-19, 2017 at The Link Carpark, Ayala Center Makati City. 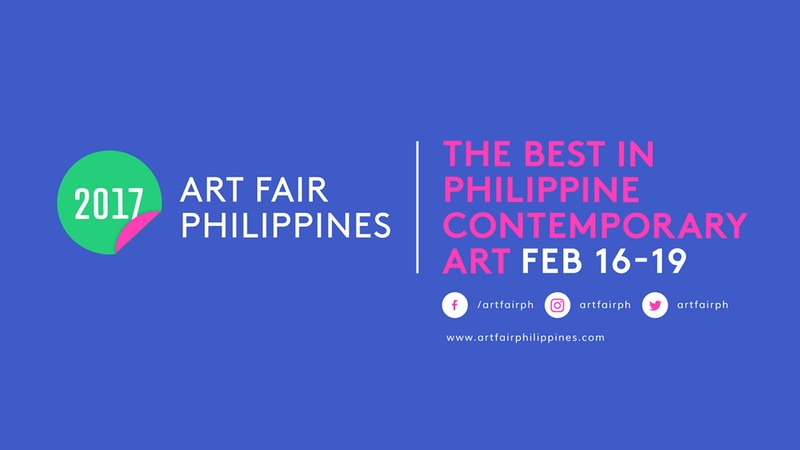 Founded in 2013, Art Fair Philippines is the premier platform for exhibiting and selling the best in modern and contemporary Philippine visual art. The fair aims to mirror the vibrant local art scene and continue to generate support for Filipino art practitioners. Set in an alternative urban venue, Art Fair Philippines makes art accessible to enthusiasts and to those who want to discover one of Southeast Asia’s most exciting art landscapes. 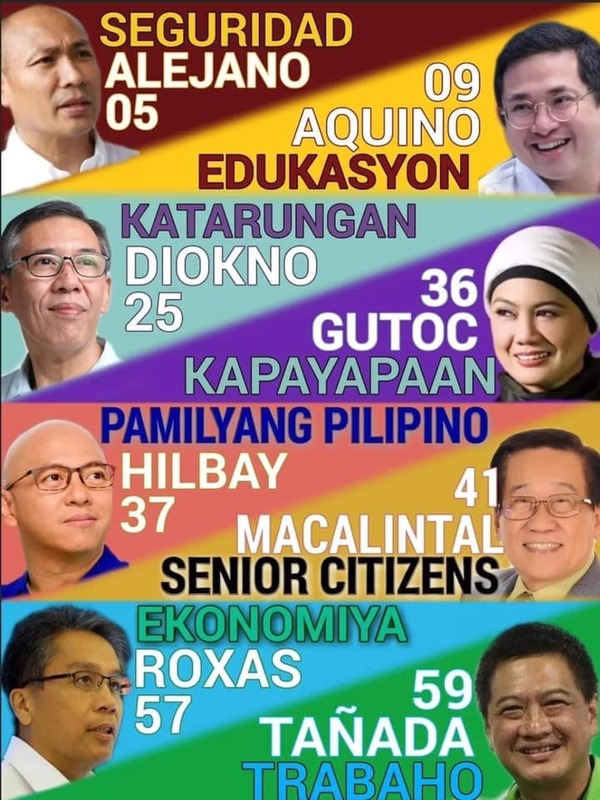 For more information, please visit: www.artfairphilippines.com. 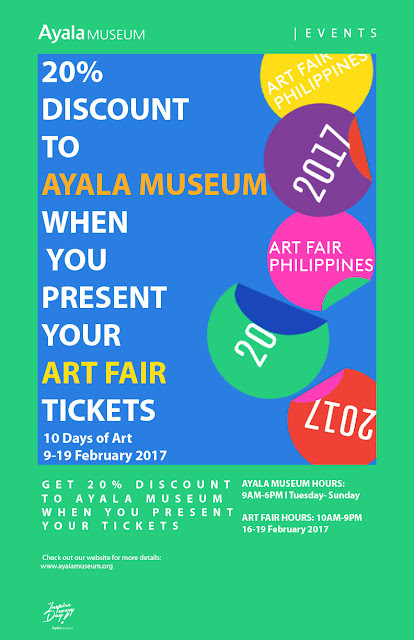 All Art Fair Philippines ticket holders who enter Ayala Museum will get a 20% discount on the regular museum admission price. All Ayala Museum ticket holders who enter Art Fair Philippines can avail of the concessionary rate of Php 200. 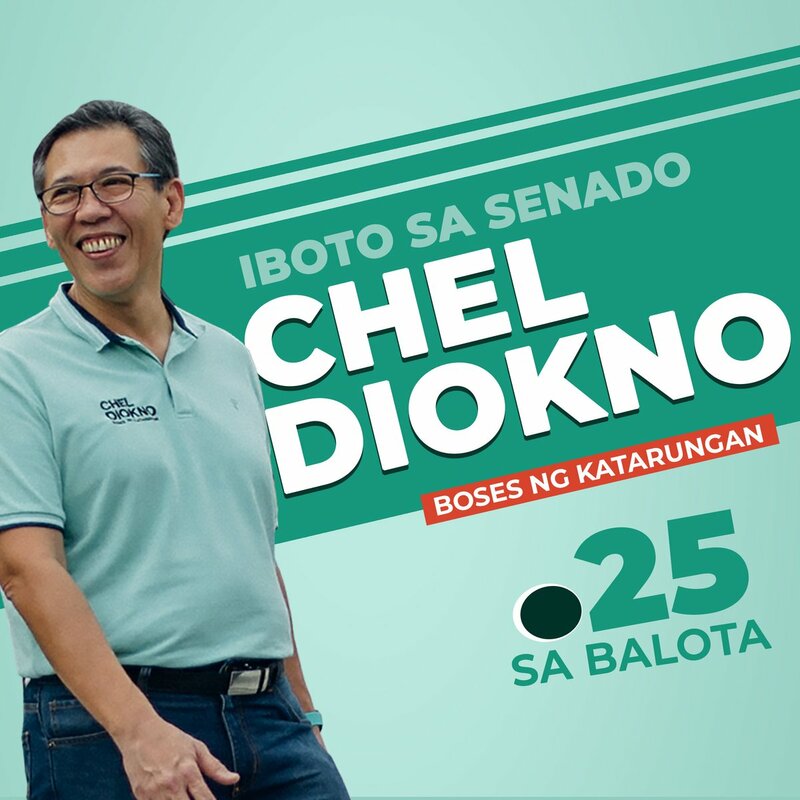 Tickets must be presented at the Admissions counters of either Ayala Museum (during museum hours) or at Art Fair Philippines in The Link Carpark to avail of applicable discounts. Only tickets dated between February 16 – 19, 2017 are valid for this promo. Additional guests will be charged regular admission rates. Tickets are valid for adults and kids. Children under 2 years old can come in free of charge. There will be no refunds for unused portion of tickets. No replacements will be made for lost or stolen tickets. This offer may not be used in conjunction with other promos and discounts.